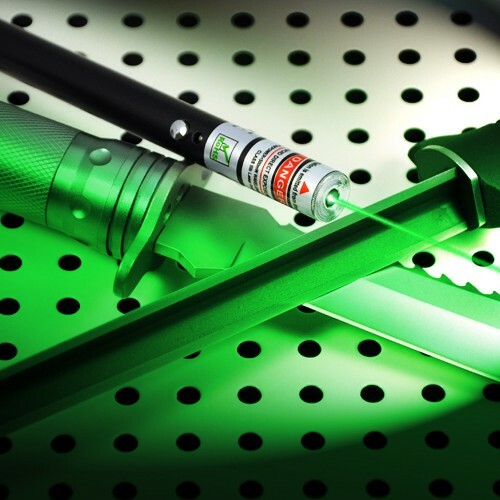 This elegant design 150mW green laser pointer projects the most visible 532nm laser light, emitting brilliant green laser beam and dot. 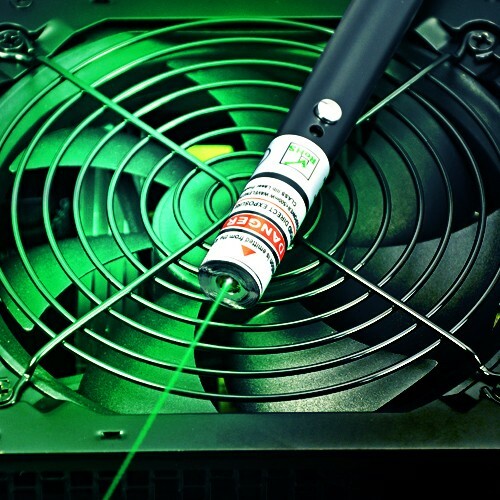 532nm green laser is the most visible and brightest laser in the world. 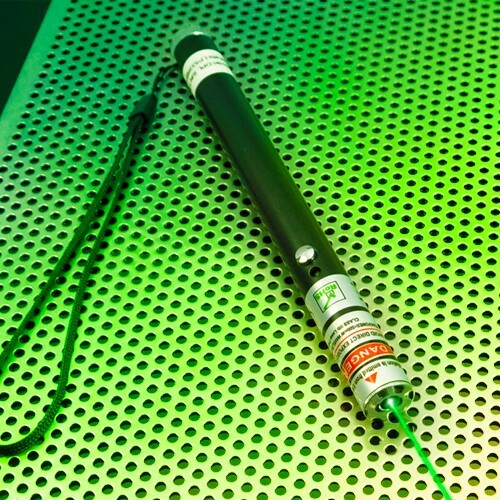 This FDA and CE approved 150mW green laser pointer has got great applications in various presentation work in laboratory experiment, long distance target pointing and positioning, outdoor exploration etc. This is always the best presentation tool for education, business conference, and a pleasant toy for pet dog or cat. 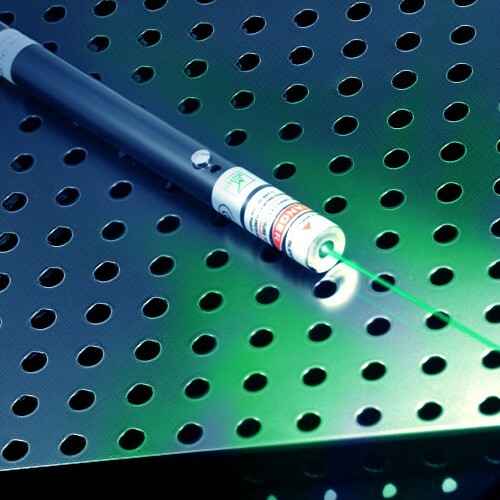 150mW green laser pointer projects the most visible light to naked eyes, and projecting the brightest 532nm green laser beam and dot. Its beam is at least five times as bright as a red laser. 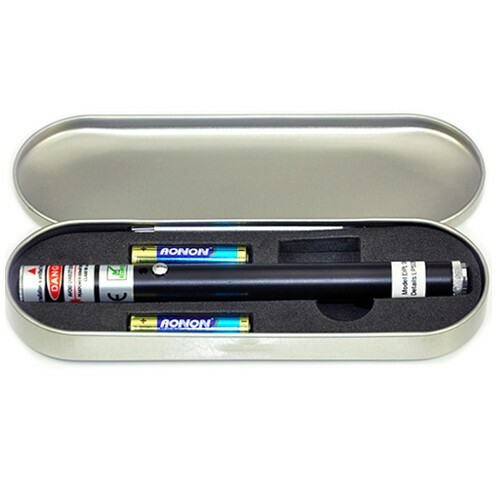 ● This alkaline powered laser pointer operates on 2 pieces AAA batteries, maintains long operation time of up to 180 minutes. 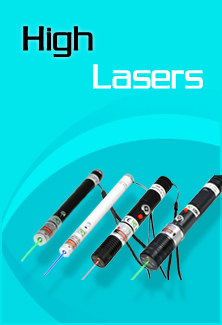 This is the most durable, reliable and stable laser pointer applicable for both entertainment and industrial field. 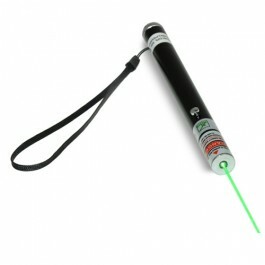 ● This innovative designed 150mW green laser pointer provides superior performance in long distance presentation and targeting. It allows you to make the most visible beam in at least 500 meters in darkness. ● Never stare at visible green beam, and point the powerful beam at eyes and skins of human or animals, vehicles especially holding a high power laser in hands.